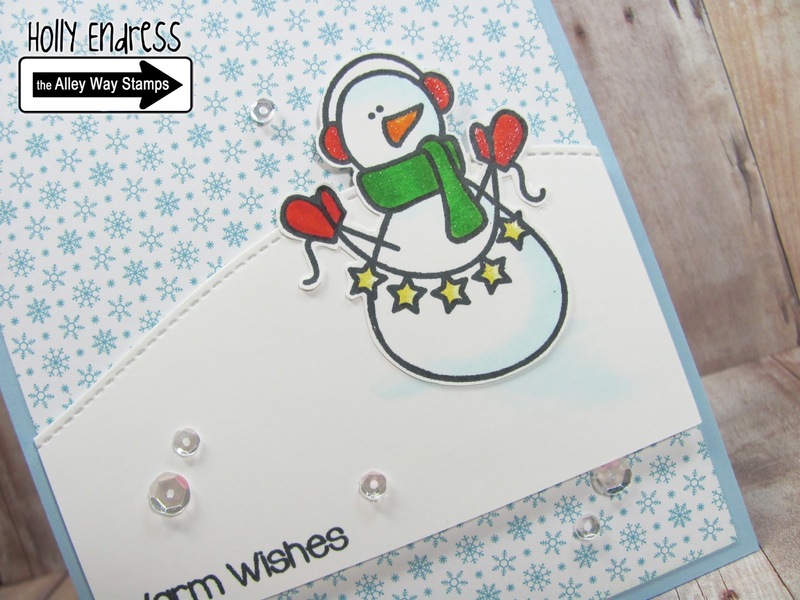 Hello everyone.. today I have a fun card using the Melt your heart out set from the Alley Way stamps. This is a cute mini set that's perfect for winter! I created a blue top folding card base and then I added a piece of Pattern paper. I created a snowy hillside with a stitched hillside die on a piece of White card stock. Then I adhered that piece to the card front with dimensional adhesive. I stamped the snowman with tuxedo black ink and colored him in with Copics. I added some Wink of Stella to the scarf, gloves and ear muffs. Then I trimmed it out and adhered it to the hillside. I stamped the sentiment from the same set on the lower corner with some VersaFine Black ink. I added a few Sparkling Clear sequins from Pretty Pink Posh for a little bling! 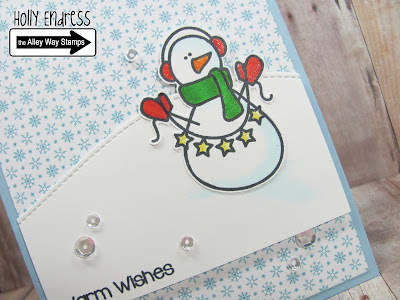 Head over to the Alley Way Stamps blog for more inspiration.